You have a few options at your disposal when it comes to firearm storage and transportation. 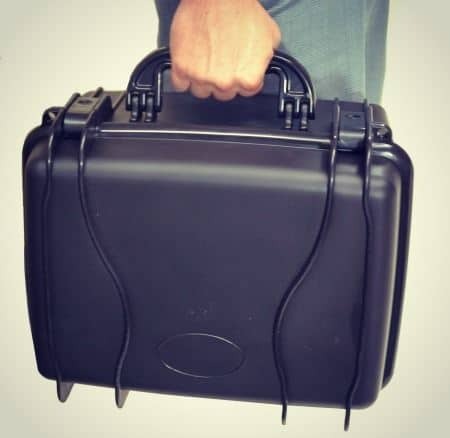 While it is not a requirement in most states to keep your gun locked away while it is being transported, you may still wish to invest in a gun case for a variety of reasons. Before we get to our review, we will look at some of these reasons. 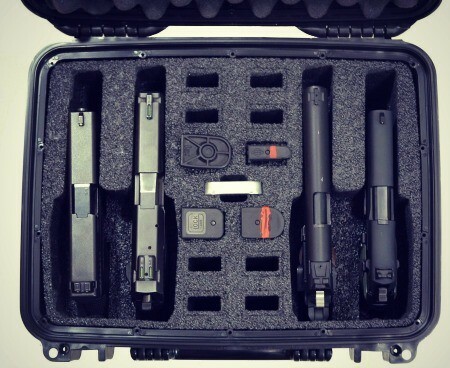 The use of a​ top firearm storage case on the market ensures that your weapons will not be inadvertently damaged when they are being transported to and from your destination. 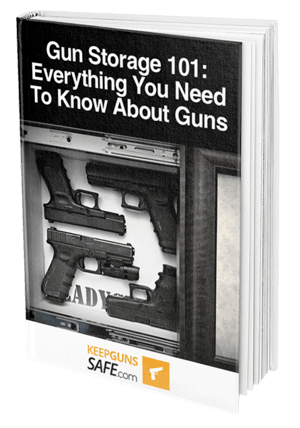 Regardless of whether you are going to the range, the gunsmith, the gun store, or anywhere else, it is always a good idea to store away guns you want to keep in good condition. Gun cases are usually meant to provide a stable environment for your weapons. They are protected from direct damage, such as scuffs, scratches, and the like. In addition to protection from these more obvious sources of damage, you will find that gun cases will prevent your gun from getting damaged by humidity. A gun case is also a convenient way to transport your guns. 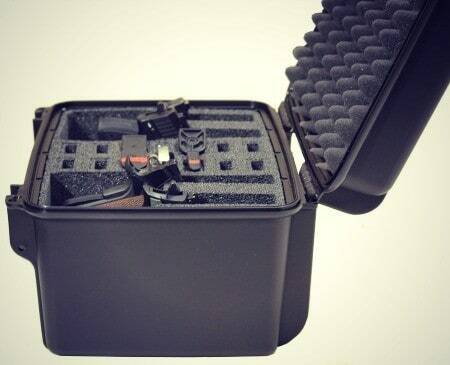 You will be able to keep your firearms and all of their accessories in one convenient spot. Leaving your guns loose in a range bag can get frustrating. They can get knocked out of place in transit and you will have to sort through everything when you arrive. You can also keep your ammunition in your gun case, whether or not it is already in the magazines. It is simply more convenient to transport your guns when they are in a case which is designed by intent to carry them. We will take a look at two aspects that are crucial to a high-quality gun case before we move on to our review. If you feel like skipping ahead, feel free to go directly to the review. Size is important to consider when you are purchasing your gun case. The size of your gun case will decide what kind of guns you will be able to store in it. Larger gun cases will be designed to store long guns, such as shotguns and rifles. Smaller cases will be more convenient for the transportation of pistols. Size will also affect how portable your gun case is. A larger gun case will be more cumbersome and may not fit in your vehicle quite so easily. You will also want to ensure your gun case is durable enough to keep your guns protected while they are in transit. Since a gun case may get banged around while it is being transported, you do not want it to get dented or otherwise damaged as this may compromise its integrity. One of the main reasons for using a gun case is so you can ensure your guns make it to your destination without damage. A gun case which is lacking in integrity will not make sure of this. It is important to invest in a gun case with a good measure of durability. This pistol case is manufactured by Case Club, and it is one of their better models. If you are looking for a pistol case which is designed with a variety of extra features, you will very likely be satisfied with this product. We were impressed with this gun case. If you need to transport multiple pistols in safety, there are few better choices available. The inclusion of military-grade foam on the interior ensures your guns will remain undamaged for the duration of the journey. Coupled with the hardened exterior, this case is one of the more resilient models around. Aside from the increased level of protection, this case provides quite a bit of room for your guns and any extra magazines. The case is also not overly large. The excellent amount of storage space is more due to intelligent design choices than the increased size which you will see in other models. This case also features excellent weatherproofing, being 100% resistant to both dust and water. The inclusion of silica gel also ensures that ambient humidity will not wear away at your guns while they are stored in this case. 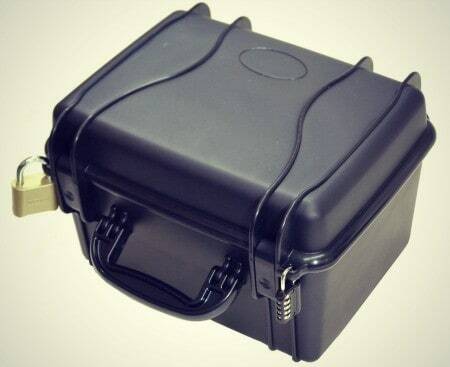 This case comes with pre-drilled padlock holes for added security, which is a relatively standard feature. We have also looked at what other customers have had to say about this case. Some customers have stated that they enjoy the highly customizable aspect of this case.The foam can be cut to fit accessories if you are willing to sacrifice some magazine storage. There are not too many negatives reviews for this case. The most common complaint is that this case will not be able to fit most revolvers since it is relatively shallow. While this helps keep the case smaller than some of the competition, it reduces the versatility. This case is more expensive than a lot of competing pistol cases. It makes up for it because of its superior build quality. ​This case can be purchased from gun stores around the country, or it can be found online from Amazon. If you are looking for a pistol case which can hold a number of pistols and their magazines without sacrificing quality, there are few better options. We hope that this review has helped you decide whether or not this is the right model for your needs. If there are any questions, go ahead and leave them down in the comments.